2019-2020 registration begins February 1, 2019. Register online or call today for more information. We are thankful that you are considering Crown of Life Preschool for your child's early education program. Please review the information contained herein, and then schedule a visit to tour our facility and obtain answers to any questions you may have. 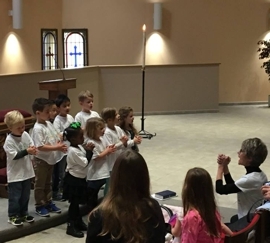 Crown of Life Lutheran Preschool joyfully exists to provide young children the opportunity to grow in their knowledge of and love for Jesus in a relaxed, loving, and nurturing Christian environment. We partner with parents in the common goal of cultivating the physical growth and development of young children spiritually, cognitively, emotionally, creatively, and socially. 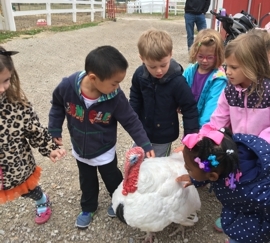 Our preschool and young 5s programs are fully licensed by the State of Michigan. The Pre 3 and 4 programs meet in a spacious, open-concept classroom that offers maximum flexibility and mobility for the active child. 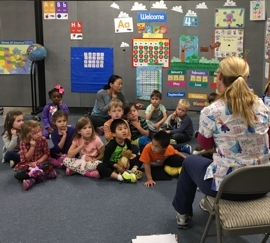 The Junior Kindergarten program meets in a separate space that introduces children to the kindergarten classroom experience. Our maximum student to teacher ratio is 8 to 1 for all classes offered. Pre 3 – meets Tuesday and Thursday, 9:00 – 11:45 a.m.
Must be 3 by September 1 and toilet trained. Provides a structured first learning experience where children learn to become more self-reliant and to cooperate with others in exploratory play and classroom centers. Pre 4 – meets Monday, Wednesday, and Friday, 9:00 – 11:45 a.m. Provides a kindergarten readiness program that offers an engaging curriculum which prepares them for the upcoming school years. 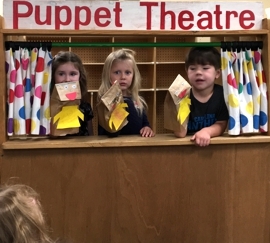 Young 5s – meets Monday through Friday, 9:00 – 11:45 a.m. 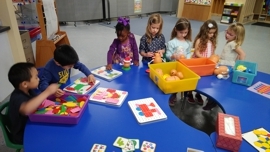 Designed for students who are not yet developmentally ready for a full day kindergarten program and need more time to make the transition from preschool to kindergarten. 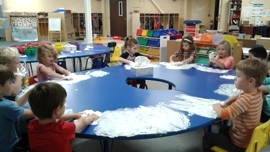 Students will engage in a variety of classroom activities at a kindergarten level. Please contact us at preschool@crownoflifechurch.org or call 248-652-7720 for a personal tour of our state of the art facility. Please check back in Spring.